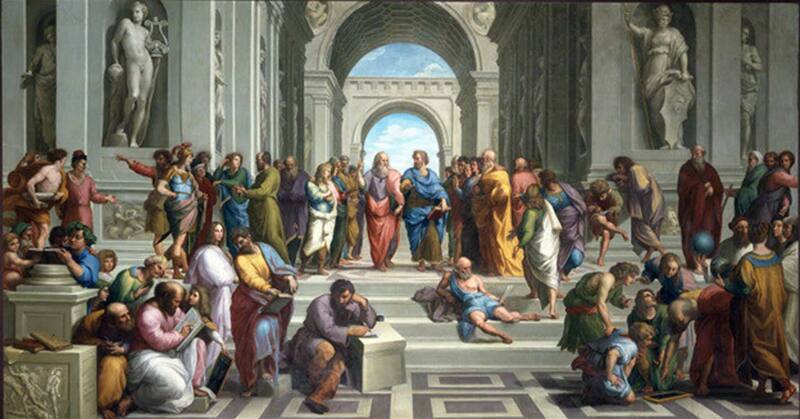 Much of modern science was known in ancient times. Robots and computers were a reality long before the 1940´s. 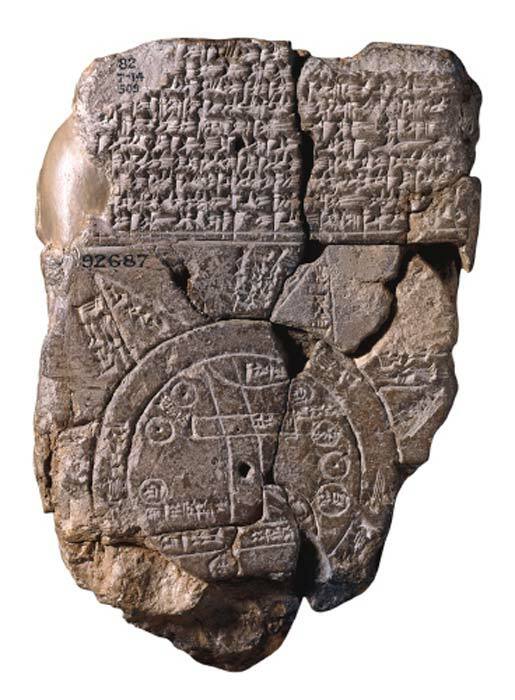 The early Bronze Age inhabitants of the Levant used computers in stone, the Greeks in the 2nd century BC invented an analogue computer known as the Antikythera mechanism. An ancient Hindu book gives detailed instructions for the construction of an aircraft –ages before the Wright brothers. Where did such knowledge come from? 1500 years ago, people generally believed that the earth was flat and rectangular. 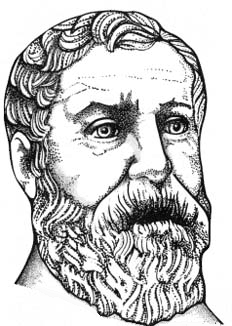 However, as early as the 6th century BC Greek philosopher Pythagoras theorized that the earth must be a sphere and in the 3rd century BC the Greek mathematician and astronomer Eratosthenes had deduced that the earth was round and computed its circumference. Oddly enough, peoples further back in time had greater scientific knowledge than the European nations of Byzantine and Medieval times. Until the second part of the 19th century, scholars in Europe thought that the Earth was just a few thousand years old. Yet ancient Brahmin books estimated the Day of Brahma, the life span of our universe, to be 4,320 million years - not very far off from modern calculations. Modern science emerged from the medieval darkness during the renaissance. By studying classical sources humanity re-discovered old-truths that had been known by the Babylonians, Ionians, Egyptians, Hindus, or Greeks for many centuries. Medieval cities of France, Germany, and England were usually built by accident (without any planning.) The streets were narrow, irregular, and had no way to manage sewage. Because of the unsanitary conditions epidemics and plagues devastated these towns. But around 2500 BC, the cities of Mohenjo Daro and Harappa, in today’s Pakistan, were as carefully planned as Paris or Washington. An efficient water supply, drainage, and rubbish chutes were provided. Besides public swimming pools, many homes also had private bathrooms. Until the end of the last century this was a luxury in Europe and America. Before the latter part of the 16th century, Europeans had neither spoons nor forks on their tables –they used only knives and their fingers. Yet the people of Central America had these one thousand years before the appearance of Cortes. In fact, ancient Egyptians used spoons even earlier – in 3000 BC. Modern science has only rediscovered and perfected old ideas, it has demonstrated that the world was much older, vaster, and globalized than was thought only a few generations before. One of the greatest handicaps archaeologists and historians are confronted with is a lack of evidence. If it were not for burning libraries in antiquity, mankind’s history would not have so many missing pages. The famous collection of Pisistratus (6th century BC) in Athens was ravaged, the papyri of the library of the Temple of Ptah in Memphis were totally destroyed. The same fate befell the library of Pergamon in Asia Minor containing 200,000 volumes. The city of Carthage, razed to the ground by the Romans in the seventeen-day fire in 146 BC, was said to possess a library with half-a-million volumes. But the worst blow to mankind’s history was the burning of the Library of Alexandria in the Egyptian campaign of Julius Caesar; during which 700,000 priceless scrolls were irretrievably lost. The Bruchion contained 400,000 books and the Serapeum 300,000. There was a complete catalogue of authors in 120 volumes, complete with a brief biography for each author. The Alexandrian Library was also a university and research institute. The university had faculties of medicine, mathematics, astronomy, literature, as well as other subjects. A chemical laboratory, astronomical observatory, anatomical theater for operations and dissections, and a botanical and zoological garden were some of the facilities of the educational institution where 14,000 pupils studied, laying the foundation of modern science. The fate of the libraries was no better in Asia. as emperor Tsin Shi Hwang-ti issued an edict whereby innumerable books were burned in China in 213 BC. Leo Isurus was another arch-enemy of culture, as 300,000 books went to the incendiary of Constantinople in the 8th century. The number of manuscripts annihilated by the Inquisition at autos-de-fe in the Middle Ages can hardly be estimated. Because of these tragedies we have to depend on disconnected fragments, casual passages, and meager accounts. Our distant past is a vacuum filled with random tablets, parchments, statues, paintings and various artifacts. The history of science would appear totally different were the collection of books of Alexandria intact today. Heron, an Alexandrian engineer, built a steam engine which embodied the principle of both the turbine and jet propulsion. If the library had not been burned, we might have had a plan for a steam-chariot in Egypt. At least we know Heron invented an odometer registering the distance travelled by a vehicle. Such achievements were not surpassed, only copied. The source of modern science lies hidden far back in time. "Yet ancient Brahmin books estimated the Day of Brahma, the life span of our universe, to be 4,320 million years - not very far off from modern calculations"
Modern estimates actually peg the universe as being ~13.8 billion years old. The ancient Brahmin account varies with the modern proposal by some 13.4 billion years. Where did this 4.320 years old figure come from? Hi Sam, interesting articles. Curious isn't it. I like my tech and have looked into the Minoan source. I'm fairly sure that what the Greeks knew, actually came from the Minoans. It is not just in art, textiles, stonework, woodwork, it's across all disciplines and suggests a learned society or at least a Palace apprentice programme. They built steam rooms and there is an account that the Palace of Ba’al that Minoans built had a door that was opened and shut using fire. The Minoans traded with everyone, they had the best of everything. I've looked at the tale of Icarus and Daedalus, I’m fairly sure they could have built a basic glider with materials and techniques of the age. A wicker frame (used to create figure of eight shields – super light and highly impact resistant) for a fixed wing and wax or turpentine/resin impregnated linen cloth skin – basically aero linen used on the first planes. Icarus is credited with the invention of the sail, they imported Egyptian flax and cotton, the trick was to water proof it to preserve sail life. All up weight around twice that of a modern hand glider. I don’t believe they would have gone for a delta wing like a modern handglider, they would have more probably studied hunting bird wings for the planform reference and noticed they are chambered. Some hand launch models later you have a basic flying glider design once you’ve fixed the school boy errors. They would have realised you needed stabilisers, that could be extended beyond the foot with a pole or giant reeds (similar to bamboo tubing) strapped to and beyond the lower legs and fanning out either side (just like a birds tail). For an elliptical fixed wing design you’d need a trolley to launch from a hill (lots of examples this), you wouldn’t need this for a delta frame handglider. You wouldn’t jumps off a cliff straight away, you’d start on the side of a gentle hill, then progress to steeper hills as you gained confidence and flight control. I build aircraft for a living, this is definitely possible, and you can do it by making some good guesses and building models, it would take about 3 years to piloted artwork without access to Palace workshops. The hand launch models will take about a day to build, so you can quickly iterate, the full scale prototype, probably few weeks total. If they went with an elliptical wing (circa 6m span), it would have a superior glide ratio than a modern day hand glider, probably around 30:1. The references to strapping wings to arms will never work, some tried this like Elmer of Malmesbury, broke both his legs jumping off a tower (your weight is in the wrong place it needs to be balanced about the wing). There are however many curious accounts of successful flights in between these times, Spain a Moorish polymath, some Chinese accounts. My gut feeling is someone with an inquisitive mind studying bird flight could build a weight shift glider with possibly tail stabilisers/control surfaces. Someone should, I would if I had time. Wicker is super quick to make models and build a prototype, you can buy aero linen cloth from bookbinders. If someone wants to have a go, I’ll give them a basic design to get them going, a hand launch model you could have flying by the end of the weekend and will tell you a lot. Within a few months you’ll have a beautifully gliding craft, using an artists wooden manikin will show you what control authority you’ll need for either weight shift or more fancy control surfaces. You can use standard linen its about $2/m2 and probably a bit closer to what they would have had to hand. Basically, your all setup for about 30 bucks (20 quid), for a hand launch model. NO-ONE should jump off a cliff, but if you built it with a hand gliding club and convinced the CAA or FAA it was safe, they may let you try! Interesting article. war never ends...they just move it about from time to time...you must be the peace that you want to see in the world! Excellent Article., especially the section concerning the library burnings. I knew abou most of them but there are several I had not heard about. I need to do more research. What were your references?